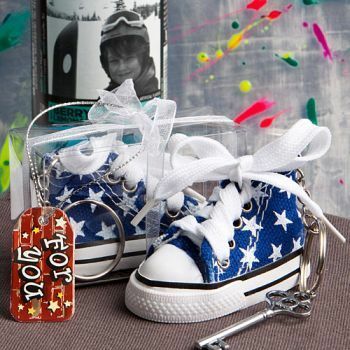 A perfect fit for a baby boy's shower, first birthday, Christening and more, this favor is a shoe in for smiles! Sample of 1 priced at $1.12 cannot be purchased with additional quantities of this item. Limit of 1 sample, in total, per order.